This book may be tiny with only a little over 200 pages, but it packs a punch that's definitely bigger than us all. 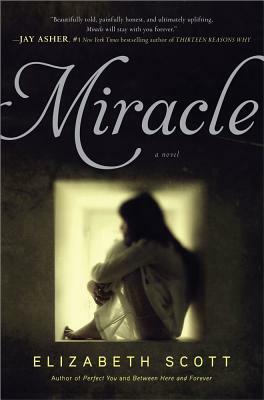 Miracle is the story about a girl who is the soul-survivor of a plane crash. That element right there scares the crap out of me. Whether we want to admit it or not, I think there's a fear inside us all each time we take flight to the skies. Then on top of a possible crash, the knowing fear of being the only one to walk away from it - that type of stress lays a heavy hand on my heart. I can not, for the life of me, imagine what kind of distress Megan went through. But that's the beauty of Elizabeth Scott's story-telling, she has the ability to put you right there, in the moment, living these nightmares right along side the character. I adore her for that. I always know when I pick up an Elizabeth Scott book that I will walk away emotionally drained, yet tantalizingly eager to want so much more. Megan's parents and the small town she lives in really hit a nerve with me. Here is a girl who just survived a very traumatic event in her life and they think a neighborhood casserole dinner will end all her worries. There is no band-aid large enough to cover this gaping wound. It's common when someone encounters such a traumatic event that their mind will choose to forget a lot of the details. We soon realize this with Megan as she goes about her daily routine, almost in a zombie-like state of mind. She knows she was in a plane crash, but the details of this horrific event take awhile to slowly creep back inside her memory. The label of being a "miracle" push Megan over the edge and into the hesitant arms of Joe - the next door neighbor who has nightmares of his own. Together, they lean on one another, slowly prying open their hidden wounds and revealing the truth about what frightens them most. Their quiet encounters in the dead of night, when secrets are shared, and all emotions are forgotten, is one of my favorite aspects of this story. Joe helps Megan to see that something this huge is bound to change a person. Though she realizes this, it takes her parents a few more steps to see it themselves. Miracle is a story that will tug heavy on your heartstrings. Be prepared for tears and moments of not believing this could be real. Though it's a fictional story, the truth about post-traumatic stress disorder is very real. Seeing this issue brought forth in a young adult novel in such a quiet, yet alarming way earns so much respect from me. Elizabeth Scott has opened my eyes a bit wider to a disorder which I wasn't too familiar with before, but now have a better understanding of. 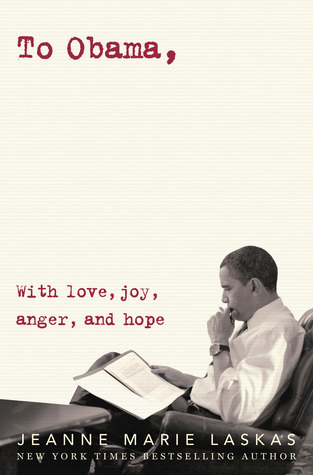 I encourage you to read this novel for the beautiful story it possesses, even in it's darkest moments. I haven't yet read an Elizabeth Scott book, but would very much like to read this one! (Not sure why I haven't read her others, tbh.) Other than that this is highly emotional (which apparently I'm drawn to), I love that Joe is a neighbor boy. What is it about neighbor stories that draw me in?! This one sounds absolutely lovely. I haven't read too many Elizabeth Scott novels, but I'm definitely finding this appealing. It sounds beautiful and heartbreaking all at the same time. I adore this book! Also: MAGAN WHAT IS WRONG WITH YOU READ STEALING HEAVEN OKAY IMMA GO TWEET YOU THAT BYE. I haven't read anything from this author, but I've heard so many great things about her and her work. I'm so excited to raed Miracle and even more excited since you really enjoyed it. I'll have to add this one to my list of things to read!! I will read anything and everything Elizabeth Scott writes, even if it is about my biggest fear of being in a plane crash lol. Wow! I can't seem to keep up with Elizabeth Scott. She's always cranking out a new one just when I find the time to read another one of her books. Will keep this one in mind. Miracle sounds utterly fantastic and emotional. I do get nervous during take off, but after that usually I am fine. I guess this book would not be good plane reading hahahaha.